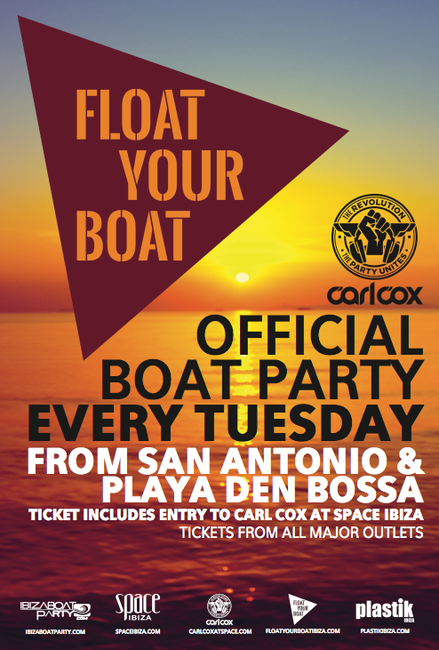 Float Your Boat is the all-new weekly Ibiza boat party for Carl Cox's Revolution and We Love… Sundays @ Space, taking place every Sunday from 8 June to 28 September before We Love and every Tuesday from 24 June to 23 September before Carl Cox’s Revolution. 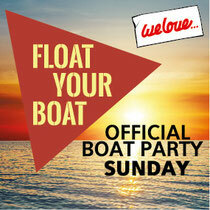 The Float Your Boat parties will set sail from San Antonio and Playa D’en Bossa . With an array of international DJ talent from Carl Cox Revolution and We Love… Sundays this should see a credible alternative for those who like boat parties on the island . The boats parties in San Antonio run from 18:00 to 21:00 and in Playa D’en Bossa from 14:00-17:00. Tickets can be purchased in advance online or from any of the island’s club ticket retailers. Each ticket purchased includes entry to the boat, one free drink at sea, bus transfer straight to Space Ibiza and entry to the venue.